Check out the article in the Columbia Missourian on C.A.R.E. members that volunteered for Repower Missouri and the Hip Hop Caucus Clean Energy Bus Tour by giving out weatherization kits to low income homes in Columbia's 1st Ward neighborhood yesterday. 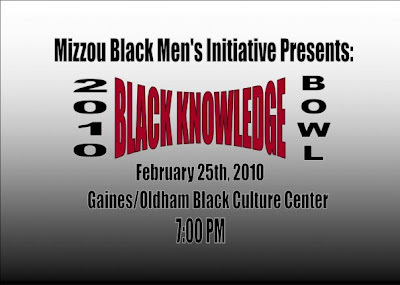 There is a Black History Knowledge Bowl being held at the Gaines/Oldham Black Culture Center on Thursday, February 25th, 2010. This contest features a grand prize of $300's cash. Aside from the cash, the best part about the event is EVERYONE will receive a study guide for the competition. So, you have time to freshen up and learn a few things before competition day. We have extended the deadline and are still accepting entries into the competition. Thursday will be the last day to enter into the competition. If there are any students interested in competing please contact me ASAP at mbmwv5@mail.missouri.edu so I can collect your entry information and can get you the study guide. * The BKB is a team competition. A team consists of 3-4 students. * There is an entry fee of $5 per student * BKB will be similar to the Jeopardy Television show format * Students will be asked questions related to Black life, culture and history. * A study guide will be provided via email to all student teams competing in the BKB. 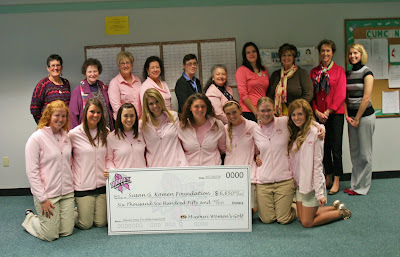 The Mid-Missouri Affiliate of Susan G. Komen for the Cure will be hosting its Inaugural Race for the Cure on September 19, 2010. We need YOU to help us by Volunteering! Volunteers play a vital role in the Susan G. Komen Mid-Missouri Race for the Cure®. Their passion and commitment is what makes our Race successful. This disease has touched so many people, either through their own personal experience or that of a loved one. Will you join our passionate fight by volunteering on Race day? Individuals from all walks of life can volunteer their time and talents before, during and after the Race to ensure its success. We need leaders, thinkers, movers and shakers, educators, communicators…all types of talented people. We look forward to having you join in the Race experience with us. This meeting is open to everyone who would like to help make this Race Mid-Missouri's premiere fundraising event! Please join us for a Race for the Cure meeting, Wednesday, Feb. 17th at 5:45 PM. The meeting will be at the Komen Office at 3301 W Broadway, Ste C Columbia, MO 65203 (located within the Community United Methodist Church). For questions or directions, please call 573.445.1905. The Mizzou volleyball program held its first annual Valentine’s Day Charity Benefit Tournament on the Hearnes Center floor yesterday (Feb. 14) in hopes of collecting more than $1,000 for the American Red Cross and the Haitian Relief Fund. The Tigers succeeded in their goal and presented a check of more than $1,000 to Mike Odneal, executive director of the Mid-Missouri Red Cross, as the program raised funds by selling t-shirts, collecting donations and hosting some of the area’s top clubs in the all-day event. According to Odneal, the funds that were raised will go directly to the nation of Haiti as it looks to rebuild from the tragic earthquake that occurred last month. 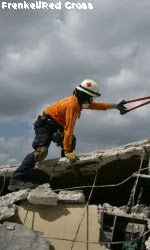 Specifically, the funds will help in providing food and shelter, clean water and the rebuilding and rescue efforts that are still going on. Members of the Mizzou volleyball team were on hand to collect donations, sell t-shirts and help in scoring matches during the tournament. Not only did the all-day event earn proceeds for a worthy cause, but local youngsters got their chance to interact with some of the role models on the Tigers’ actual competition floor. My New Years Resolution was "why not." I chose this because I realized how many times I asked myself why do I do this or why do I do that. But now I'm looking in a more positive direction in saying "why not" to the things I would say why to. For example, "Why do I have to do my homework." I now look at it as "why not do my homework, its only going to help me out in the long run" In my first month of 2010 I quickly saw a change in my work ethic and in how much more positive I was about it. In the end I can never come up with a good enough answer to my "why not" question. So why not? The institution of the student-athletes' on this list will be awarded $3,000 each year from Chick-fil-A for their efforts. 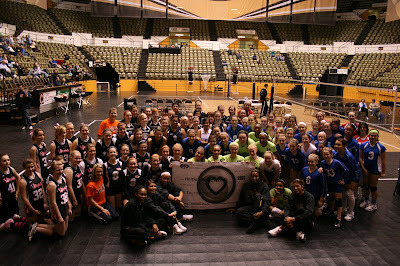 In the wake of the tragic earthquake that rattled Haiti on Jan. 12, 2010, the Mizzou volleyball program is doing its part by hosting the Valentine's Day Classic/Haitian Benefit Tournament on Sunday (Feb. 14) in hopes of raising funds for the American Red Cross and the entire nation of Haiti. The tournament will be put on by the volleyball program and will feature teams and clubs from around the area competing on the Hearnes Center floor. Senior outside hitter Rosa Medrano is a native of Haiti's neighboring country - The Dominican Republic - showing that even in Mid-Missouri, people have ties to the area that was devastated by the earthquake. Teams of seventh and eighth graders from all over the state of Missouri are slated to appear at the event; doors are scheduled for a 7:15 a.m. open on Sunday. The matches, which will consist of two and three 25-point sets, will begin at 8 a.m. As of today (Feb. 10), nine teams from around the state are scheduled to appear at the event. The tournament will begin with pool play in two separate divisions and culminate with playoffs for both pools. The Mizzou volleyball team will be on hand to accept donations for disaster relief throughout the day while the American Red Cross will arrive in the afternoon to accept the final contributions. The tournament itself will be run by the Mizzou volleyball players, coaches and support staff. Not only will the tournament serve as a chance for the volleyball program to raise funds for relief in Haiti, but it will give children a chance to interact with their favorite volleyball players in a fun and competitive setting. Plus, all of the proceeds go towards a worthy cause. For all the latest on Mizzou volleyball and the Valentine's Day Classic/Haitian Benefit Tournament, stay tuned to MUTigers.com. 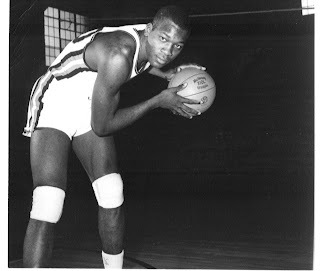 A standout basketball player for the University from 1958-60 who was also a trailblazer, as he became the first African-American athlete to accept a scholarship at MU, when he did so from basketball coach Sparky Stalcup in 1956 ... 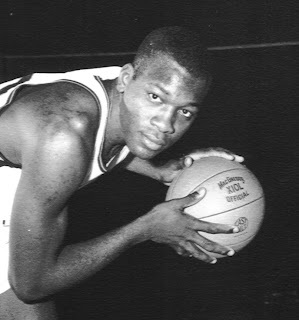 Led the Tigers in scoring and rebounding during the 1958-59 season, at 16.1 points per game and 9.3 rebounds per contest ... Totaled 404 points that season, and became only the 4th Tiger in history to reach 400 points at the time ... Had a brilliant 28-point outing at Kansas that season ... Was a very unassuming man who by all accounts dealt with the unfortunate situations that would arise with class and dignity ... One situation occurred as a junior in December 1958, when the team traveled to Houston, Texas to play Rice ... As the team checked into the hotel the night before the game, the hotel refused to let Abram stay there ... Unable to make last-minute accommodations for the entire team, Stalcup made arrangements for Abram to stay in a dorm room at nearby Texas Southern University ... The next night, Abram scored 23 points to lead MU to a 68-62 victory ... Played professionally briefly with Seattle of the old National Industrial Basketball League, before the league folded ... He later worked for the City of St. Louis, as well as the Internal Revenue Service ... Passed away in his hometown of St. Louis, Mo., in 1982 at the age of 44. The BuddyPack program seeks to provide young children in need with easy-to-prepare, nutritious foods. Peanut Butter provides a great shelf-stable source of protein for growing youngsters. 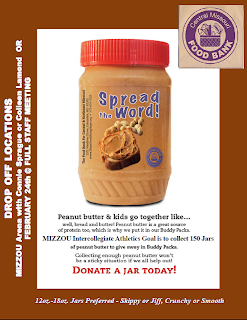 CMFB’s goal is to include a jar of Peanut Butter in each BuddyPack once a month. Currently 3,800 elementary school students in our 32-county service area take BuddyPacks home every week. The Food Bank must purchase the product and it is expensive. Unlike many of the products The Food Bank provides, they cannot buy it in bulk (at lower prices) and have volunteers repackage it. We need individual, sealed jars that students can carry home in backpacks - the ideal size is a 12-18oz. jar. ICA’s goal is to collect 150 jars of Peanut Butter by the end of February. So whichever your choice, Skippy or Jiff, Chunky or Smooth, spread the word. Please drop off your donation in a collection bin in the lobby of MATC. In the month of January, the University of Missouri Men's Golf team volunteered for the Pinewood Derby Cub Scouts and Coach Laroux went above and beyond by coordinating community service events for his team t0 participate in throughout the rest of the semester. Congratulations to the Men's Golf team!!! University of Missouri Health Care’s Children’s Hospital has asked the local community for help as it competes for $50,000 in the Children’s Miracle Network’s “North America’s Most Caring Radio Station” contest. Already, the response has been dramatic. The Zimmer Radio Group’s Y107, which hosts the local Children’s Miracle Network Radiothon, has moved from 15th to 6th place in the past 24 hours. To see results, visit http://radiocares.childrensmiraclenetwork.org/Results.aspx or go to Children’s Hospital’s Web site at http://www.muchildrenshospital.org and click on the “most caring radio station” button. To support MU’s Children’s Hospital in the contest, register and vote for Y107. The contest rules allow up to 10 votes per day, and voting ends Friday, Feb. 5. The radio station with the most votes at the end of the four-week campaign will win $50,000 to put toward its 2010 Radiothon total.